The Trust is a registered charity (No 267411) formed in 1974 when 18 acres of coastal grazing land came onto the market and looked set to be sold in lots for development. Subsequently further purchases of land were made bringing the total area to about 24 acres. Through heroic fund-raising efforts and the tremendous generosity of many, the Pett Level Residents’ Association formed a charitable Trust which was able to secure this property as an amenity for the general public and for wildlife conservation. 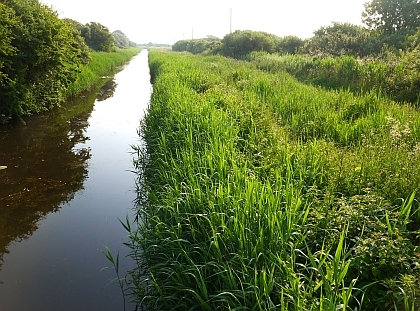 The Pett Level Preservation Trust’s wildlife-rich coastal habitat at the very western end of Romney Marshes includes part of the ancient island of Toot Rock and a section of the Royal Military Canal. The area to the seaward side of the canal is designated a Site of Special Scientific Interest. Reed, rough grass and scrub harbour a wide variety of birds and insects while dragonflies and unusual aquatic plants can be seen along the canal. The Trust’s Open Access policy invites you to enjoy this land but please keep your dog under control and take your litter home. 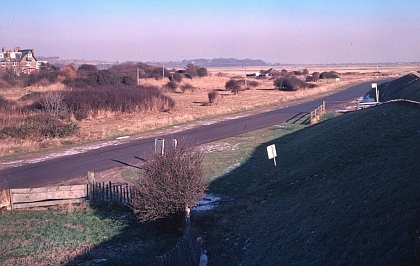 The Trust land in 1979 was mostly grass and reed with small Blackthorn thickets.